Availability: Candidates can download the admit card 15 days prior to the date of examination. Exam Centre: The exam centre is allotted according to the choice filled by the candidate. Date and Time of the Exam: Note down the date and time. It would be safe to reach the exam centre at least 1 hour before the time mentioned in the Admit Card. Photograph: It is necessary to attach a photograph to the admit card in the provided space. Step 2: On the SSC website's homepage, click on the link "Admit Card”. Step 3: Click on the regional website's link. For example, if you belong to the eastern region, click on the relevant link for the eastern region. Step 4: You will be redirected to the regional website. Step 5: Enter your registration number and date of birth. You can also download by entering your roll number and date of birth. Step 6: Click on Search Status. Step 7: Then press the “Download Admit Card” button. 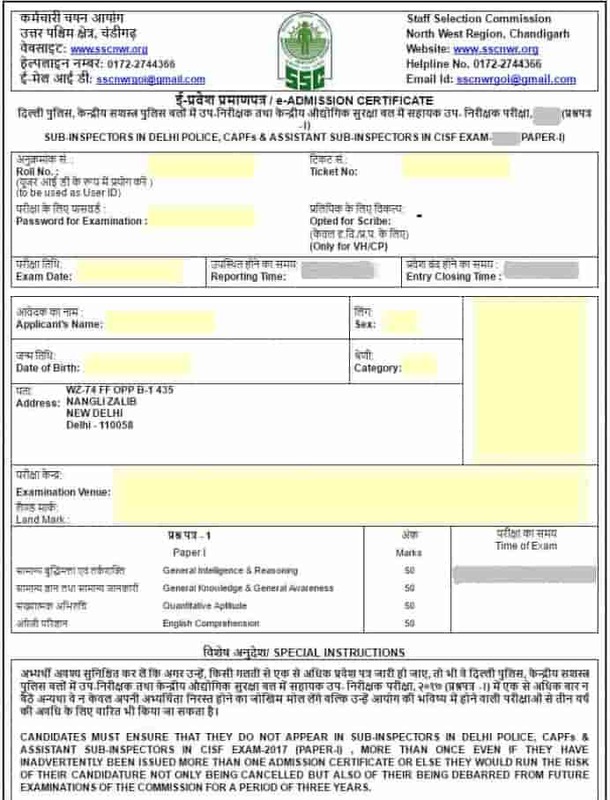 Step 8: The admit card will be displayed on the computer screen. Make sure you have a hard copy of it.